A great opportunity is coming to us throughout the next 12 months. This great potential will accelerate, clarify and expand our work individually and collectively. We can become crystal clear in knowing what is best for us and have the opportunity to manifest it as well. What we focus on is what we will manifest. We can use this time to boldly shift the direction of our reality. The real exciting thing is that when we help ourselves, we also become way-showers for a new way, a new path for humanity. It is our destiny to direct this powerful, deeply intuitive and expanded energy in the direction of the light, and toward awakening the consciousness in the hearts of all living beings. This opportunity is triggered by an event in western astrology and mirrored back through Mayan Astrology. In western astrology, Jupiter is moving into Scorpio on October 10th. It will remain there for over a year. Please reach out to your trusted western astrologer for more information on this. But with my minimal knowledge of western astrology, I can see that the vastness of Jupiter entering the deeply psychic and self-knowing clarity of Scorpio is an incredibly potent time for all of humanity. The day Jupiter moves into Scorpio, October 10th, will also be 3 IX in the Kiche Maya traditional count. This represents the vast spirit of the ever changeable wind. Spirit's divine plan will manifest as a potent and surprising, ever-changing, divine flow within us. We are not going to be able to control this energy, but it will direct us toward what is best for our spiritual growth. In the Yucatan Mayan Astrology count, October 10th will land on the day of 10 AHAU. 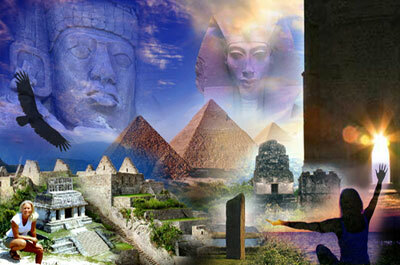 This is a powerful day which manifests the highest manifested vision of the great central SUN. Many Mayan experts say that this day sign is thought to be the first day of a new cycle of time. In the past, the Star Elders have shared that 2017 would be the time when we would finally get clear about what this new cycle is about. So this makes me wonder if this is actually the beginning of the new cycle that we had hoped December 21, 2012 would be. The odd void space that we have been stalled in since January 2013, I feel is over. This is great news for us. We will finally begin to move forward with greater momentum. Whatever you have been working toward manifesting in the last five years ... hang on this will be a wild ride. If you haven't done your homework (it is highly unlikely you will be reading this), it means that you might be immersed in a crash course of self-discovery, awakening, and you could be blind-sided by an accelerated ascension process or enter a dark night of the soul, the shaman's wound. The rest of us will certainly be there to help those who are going through this process. I got a feeling that it is going to be a very busy year. When this great new potential is combined with the energies of ancient sacred sites around the world, this energy is multiplied greatly. I feel like we have hit an new higher bandwidth. I feel like we are starting over on an entirely new playing field. This is really exciting to my soul. If you are feeling called to any sacred area of the Earth, I highly recommend that you find a way to get there. You will not be disappointed. Many ancient cultures, including the Maya, understand that we come from a place called the great ocean. It is an ocean of great potential. It is the primal core energy of all life. It is exactly this great ocean that is being activated in the next 12 months. We have finally landed in this new cycle with our boots on and ready to go. When we put this great potential to use, we become weavers and directors of this great potential. Anyone working with sacred sites in the next 12 months will bring about a profound, deep remembering that will also become a foundation stone to help us manifest a greater future. As Jeshua said, what I have done, you can do also... and GREATER things. I got a feeling that this year will be the time when we begin to finally tap into and manifest these greater things. What we plan to work with, in the next 12 months. We are beginning to work with this great potential, with sacred waters and activating our "rainbow water weaver" abilities in Palenque, Mexico this coming December. 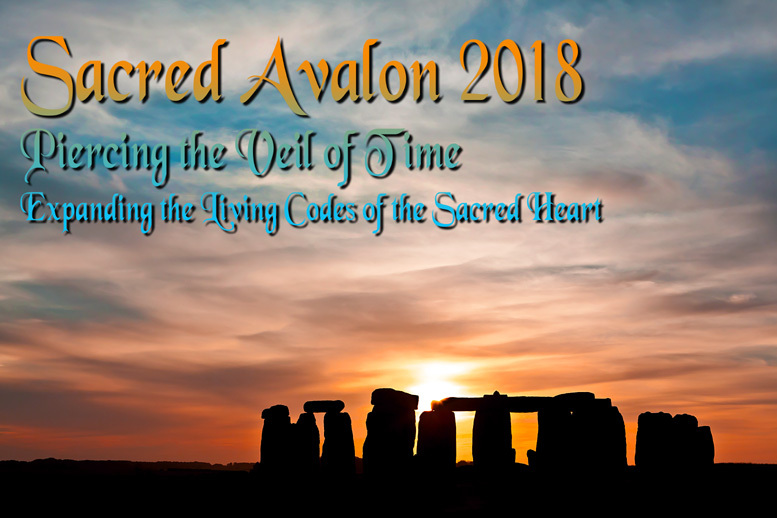 Then we will return to Sacred England to link these energies with the Jeshua, Mother Mary, Mary Magdalene, and other pre-Celtic rememberings on the very powerful and sacred Michael and Mary ley lines in July of 2018. Here we are called to pierce the veils of time, and expand the living codes of the heart. We will finish out the 2018 year by finally returning to Egypt in October to anchor the entire year's experience with temples and pyramids that hold a deep and profound alchemy. Well ... If you are still reading this, then the Star Elders say you must be ready for what we are going to share next! I know that I need to apply a few of these myself. Tips on how to achieve your goals. 1 First take care of yourself before you engage yourself out in the world. I know this can feel self-centered and selfish to many sensitive ones. But if you are not fully ready to take action, what you manifest will reflect this. Be patient and pick your moment. Take as much time as you need to ready yourself. We know you want to manifest the highest possible outcome. 2. Pick your subjects wisely. Place your energy in an area you know you can make a difference. As Jeshua said ... "Do not throw pearls before swine." This means don't waste your energy on a lost cause, even if it is someone close to you. Don't spread your energy too thin as well. Concentrate your light on one area and then move on. Do not worry about those "lost causes". As momentum begins to move in a positive direction, the entire world will inevitably be swept up with it. Our job this year is to get the momentum going in a positive direction. 3. Do not get pulled into the dramas playing out in the world; nor the inevitable conspiracy that follows any tragedy. As you already realize, there is a lot of polarizing drama in the world right now. The truth cannot be found on either side now as both are contaminated. Stay neutral, in witness mode, as much as possible. Violet flame any polarizing or negative situation and move on quickly. If you don't know what the Violet flame is, please Google it. The more attention you put on a negative situation, the more your energy feeds it. 4. Set your intentions, but don't wait around to see if it manifests. Once you set an intention, and you hesitate and look back to see if you are going to get a result for your work, you are already telling the universe that you are questioning if it will happen. Remember, the universe listens to you, your intent, your motivation and even your doubt. Realize your immeasurable power and light. Put your intent and action out into the world, and move on. 5. Listen to your first hits. Doubt usually follows truth. Any time you have an amazing realization, it is quite common to have the next thought sabotage it. Example ... You might have a spontaneous insight about what you are to do next, or where you need to place your energy, and then you immediately think of 20 reasons why you can't do that. If you find yourself feeling negative a lot, go back one step to find out what was the first thought you had. If you are having a lot of negative thoughts, you could actually be having a lot of incredible semi-subconscious insights as well. Just take a step back, and look at your first thought. That original insight might feel much like the way you access a memory of a dream as you wake up in the morning. 6. Stay positive without sugar coating reality. Do not ignore the polarizing or negative situation. Recognize it, acknowledge your part in it, and then consciously pull your energy back from it. Starve the situation or event of your light force. Then again use the Violet Flame. Anytime you sugar coat a negative situation or reality, you are actually feeding it. If the universe hears you saying THAT you are OK with a situation, the universe will dish you up more of that. Example: If you catch the flu, don't tell the universe you are OK with it, or that it is just a clearing. Not only the universe, but your immune system needs to know that you recognize that you are not feeling well. Then do something about it, and move on. 7. Stay in the present moment, and quit beating yourself up. Do the best you can with what you have in each moment, and know that IT IS good enough. If you are feeling that you are not doing enough, you are not being present, and you are in the past. You can't do anything while you are in the past, you can't do anything if you are in the future. If you are in the past, face your grief. If you find yourself out in the future, face your fear. We hope that this message helps you in some way this coming year. We have a great opportunity to create a more powerful and positive effect on the world than ever before. Remember ... you are not perfect, but perfectly human. Applying your best in each moment can change the world. And it does. *** Please save me at least 2 days work answering email. Please post, respond or comment on this article on our post on FACEBOOK at https://www.facebook.com/alunajoyyaxkin/posts/1701129196573499. THANK YOU! (If you have a response that is quite personal... please feel free to email me : ) I simply can not answer all your emails... but the fact is that I really want to ;) YOUR comments also benefit everyone else and helps us paint a bigger picture of what is evolving on Earth and Humanity. PLEASE LIKE, COMMENT, and SHARE on our Public Facebook page, because Facebook limits the number of people who can see our updates that they have asked to see. If you want to see more of this, LIKE IT! Offer Heart Donations Here as they are Appreciated and Treasured, and support our work. We made 2 new SACRED SITE ESSENCES in SCOTLAND! We were called to make 2 new Sacred Site Essences while we were in Scotland, and now we see that they are yet another clue that the Ocean of Creation is being activated. We had not noticed this until today when we wrote the message regarding the coming energies. We are getting permission to release these two essences today. We feel they will be quite effective and supportive. THE GREAT OCEAN OF CREATION - The Abundant Manifestation Essence. Cothiemuir Stone Circle - Aberdeenshire area of Scotland. Made on August 31, 2017. Use this essence for crystal clear insight, and a great depth of intuition that is infused with deep peace and profound balance. 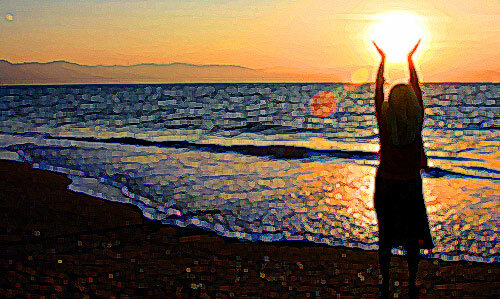 Use for total immersion into the great ocean of potential and for creation to manifest your intents. THE NOBLE LIVING CHRIST - The Christ Consciousness Essence. The Crystal Mountain of Schiehallion, a.k.a. The Fairy Hill of the Caledonians - Fortingall area of Scotland. Made on September 2, 2017. Use this essence to activate and reclaim your Christ self, and to experience a profound uplifting into the light. With the use of this essence, we are assisted in obtaining crystal clarity, and to foster deep tranquil states of being radiating from our true, natural nobility.